Her condition quickly worsened before her dying "with her animal care specialists by her side" at 12:15 a.m. ET on Monday, according to a statement by SeaWorld. 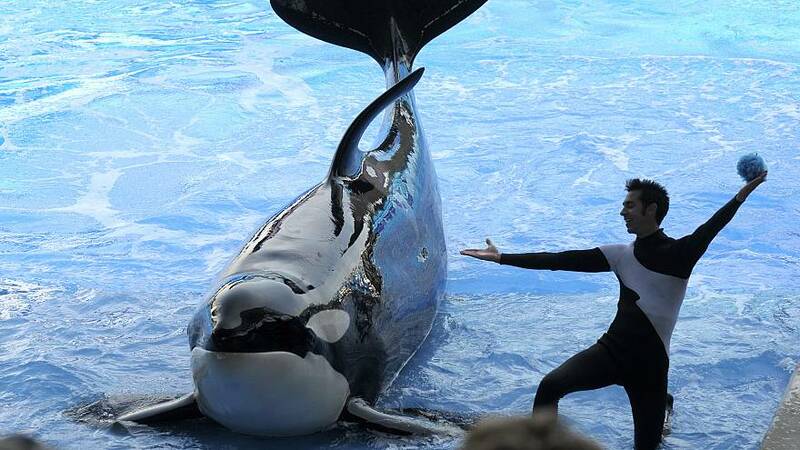 "Her veterinarians immediately began treatment based on a physical examination" on Saturday, SeaWorld said. "Unfortunately, her condition worsened through the next two days. Although animal care specialists and veterinarians devoted around the clock attention to Kayla, she did not survive." Results of a postmortem exam to determine Kayla's cause of death could take several weeks. "The entire SeaWorld family is deeply saddened by the loss," according to the statement. "She shouldn't be dead, she should be in the prime of her life," Rose told NBC News on Monday. The company announced back in 2016 it is phasing out whale acts, by no longer breeding or acquiring any more of the massive mammals. Following Kayla's death, SeaWorld has 20 whales left at its parks — five each in Orlando and San Diego and 10 in San Antonio. The youngest whale in SeaWorld's care now is a 4-year-old in San Diego. SeaWorld had been pressured to end its whale operation in the aftermath of the 2013 documentary "Blackfish," which questioned the morality of keeping them in captivity.